I remember as I planned my wedding that the only thing I was willing to spend real money on were my pictures. The food would get eaten, the dress would never be worn again (and was ultimately donated), and the music would eventually fade. But the pictures . . . they lasted. They always do. Invest in your memories; you will never regret that. Includes a sunrise or sunset location (no studio), and wardrobe changes (I have clothing options!). The session includes your choice of 10 print ready images available via digital download, as well as the option to purchase extra images from your gallery. Please plan on your maternity session lasting a minimum of 60-90 minutes, and plan to have a great time! This price is also for Engagement sessions. Add $100 for the entire gallery. *Book a Maternity and Newborn session together to save $100. Payment may be divided between both sessions. Includes you and your super cute newborn – all in the comfort of your own home! The session includes your choice of 10 print ready images available via digital download, as well as the option to purchase extra images from your gallery. Please plan on your newborn session lasting a minimum of 2.5-3 hours, and also plan on it leaving you breathless – in a good way! 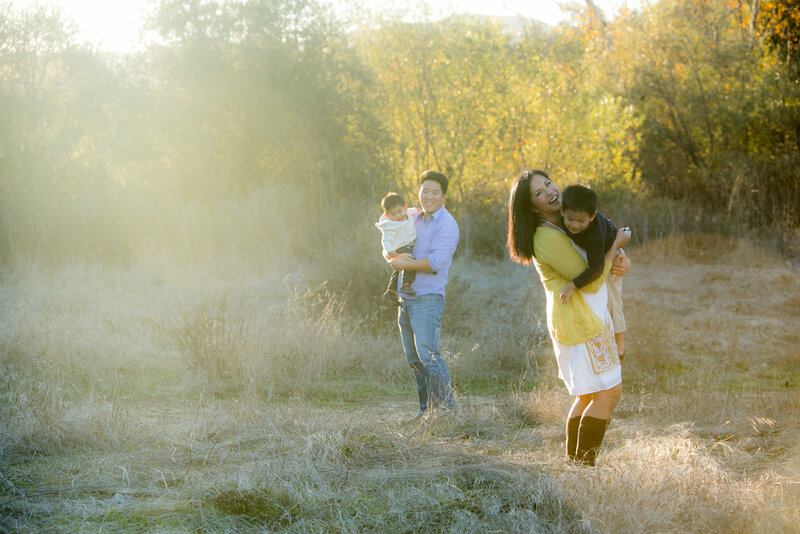 Family portrait mini-sessions are offered at select times throughout the year at various outdoor San Diego locations. They last about about 20 minutes and are great for a quick updated portrait session. The mini-sessions includes 6 print ready images available via digital download, with the option to purchase extra images from your gallery. I do not offer mini-sessions for Maternity, Newborn, or Engagement portraits. Add $50 for the entire mini-session gallery. Add $75 for family portrait full sessions (which may include extended family, multiple locations, wardrobe changes, capturing child milestone (e.g., 3rd birthday), or other individuals/small groups within the larger family). These sessions last a minimum of 45 minutes and includes your choice of 10 print ready images available via digital download, as well as the option to purchase extra images from your gallery. Add $50 for the entire full session gallery. Subscribe to my mailing list to receive updates on upcoming mini-session dates!